Astigmatism is a vision problem that causes objects to appear distorted and blurry. It often affects both distance and near vision. It is the most common vision problem and it may occur with nearsightedness and farsightedness. Astigmatism usually causes vision to be blurry at distance as well as near. Patients with astigmatism often feel tired after reading and find that letters and words appear to be slanted. Squinting and tilting the head seems to improve vision distortion caused by astigmatism. Astigmatism is caused by the cornea having an oblong shape, like a football, instead of a spherical shape, like a basketball. A cornea with astigmatism has two curves, one flat curve and one that is steep. Light is then focused at two points instead of one. One point of focus may be in front of the retina and the other behind. This causes images to appear distorted in addition to appearing blurry. Astigmatism may also be caused by an irregularly shaped crystalline lens. This condition is termed "lenticular astigmatism." Astigmatism is diagnosed by a manual keratometer, an instrument used to measure the curvature of the cornea. A keratometer is often used in a basic eye examination. The diagnosis also may be made by using a corneal topographer. A corneal topographer is an instrument that gives a color-coded map, similar to a topographical map of mountains. Steeper areas are indicated in red and flatter areas in blue. A wavefront aberrometer will also give the eye doctor much more precise information about astigmatism. Astigmatism may be corrected with glasses, contact lenses or surgery. Glasses: Glasses work well with patients with astigmatism. Patients with high amounts of astigmatism must have their glasses carefully adjusted to their face. Contact lenses: Contact lenses that correct astigmatism are called toric contact lenses. Patients with large amounts of astigmatism have greater success with rigid gas permeable contact lenses. 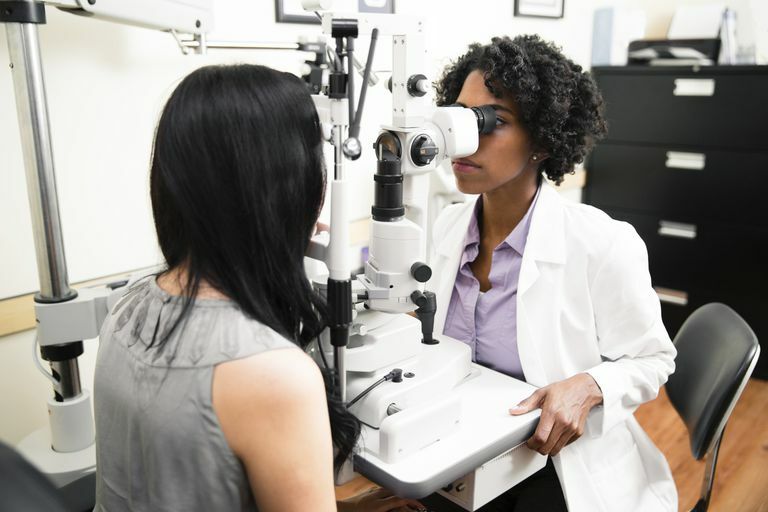 Surgery: Surgical vision correction procedures and an incision procedure, known as astigmatic keratotomy, can also successfully correct astigmatism. If you have astigmatism, don't think you can't have LASIK eye surgery. It is a possibility for most. LASIK surgery is used for correcting refractive errors such as astigmatism, myopia, and hyperopia. Many people with astigmatism have found LASIK eye surgery to be a safe and effective method of vision correction. For some reason, there is a "stigma" about astigmatism when it comes to LASIK. However, most patients with astigmatism can have laser refractive surgery. Most of this stems from the fact that it was the first type of vision problem approved by the FDA for LASIK. While most people who have astigmatism can have LASIK, some people have too much astigmatism for the laser to correct. They, however, sometimes can have an additional procedure called astigmatic keratectomy (AK) to correct any remaining astigmatism. Can We Prevent or Control Nearsightedness?